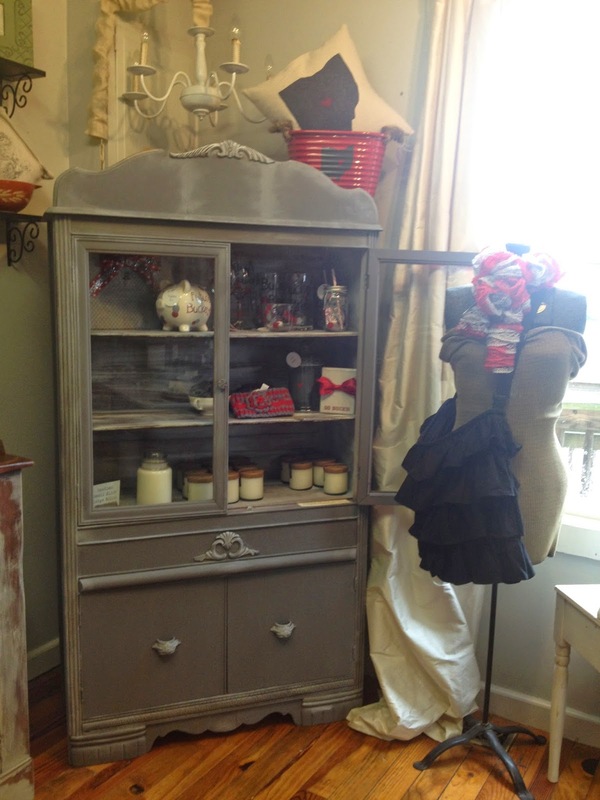 I am so excited with the restyled shoppe! 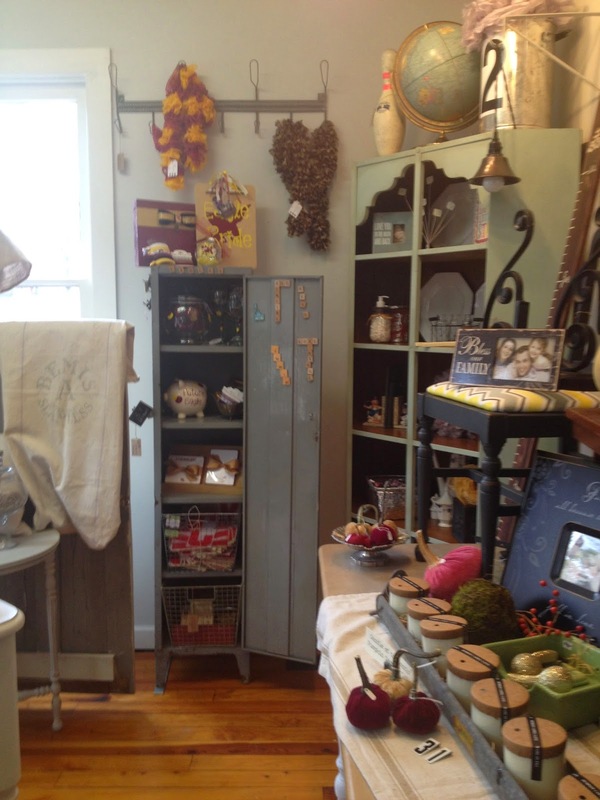 It is full, restocked and ready for you to come shop! 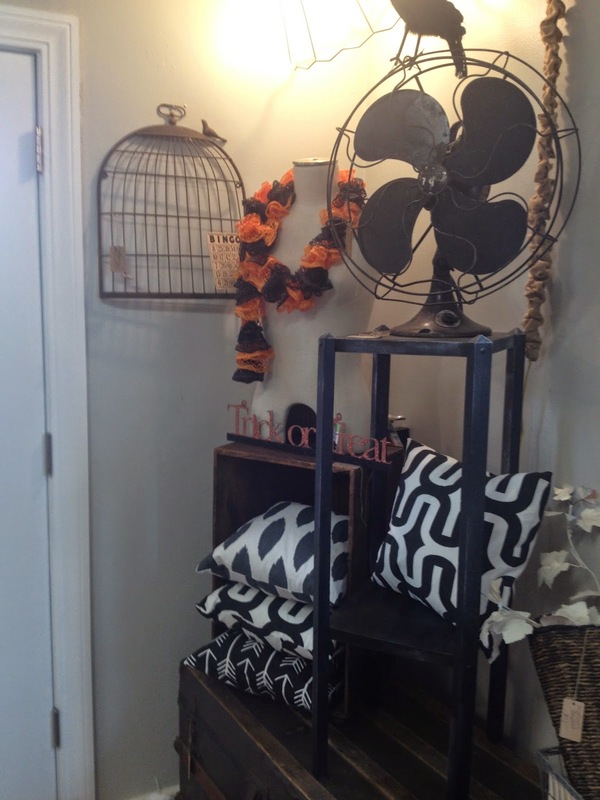 Handmade pillows are so festive for Halloween and Fall. 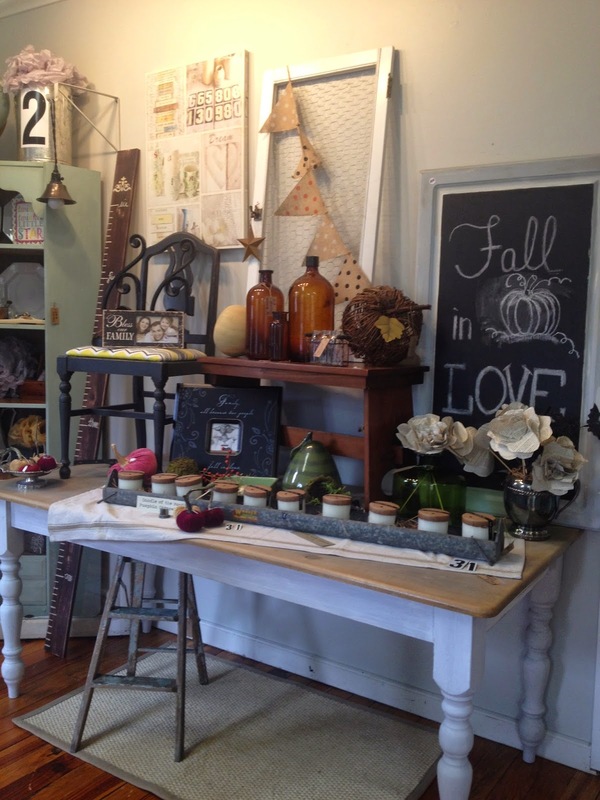 Handmade jewelry, velvet pumpkins and Fall decor abounds. 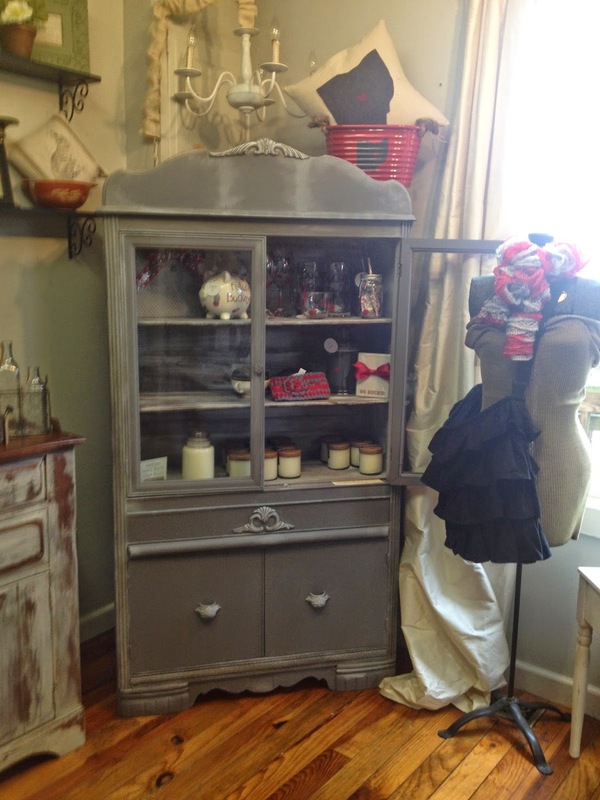 This freshly, restyled cabinet is the perfect spot for our Buckeye gear. 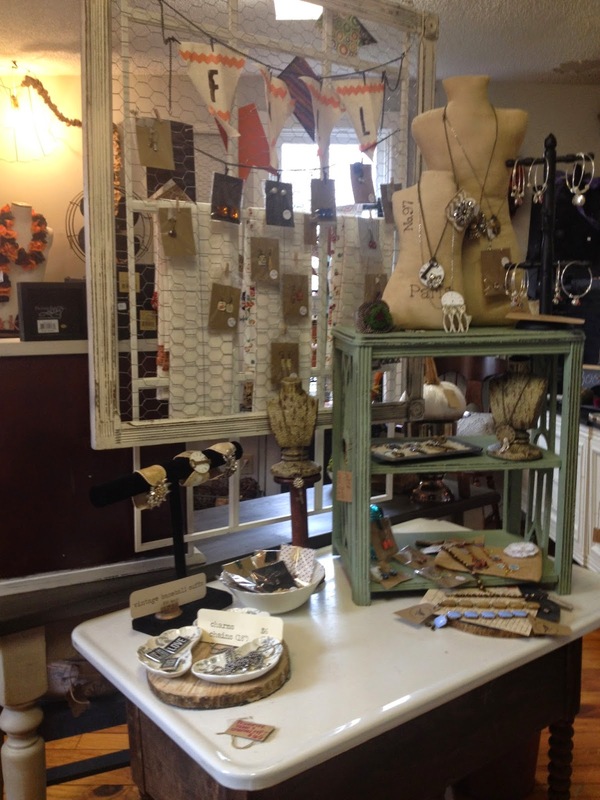 Tons of jewelry - vintage and handmade. 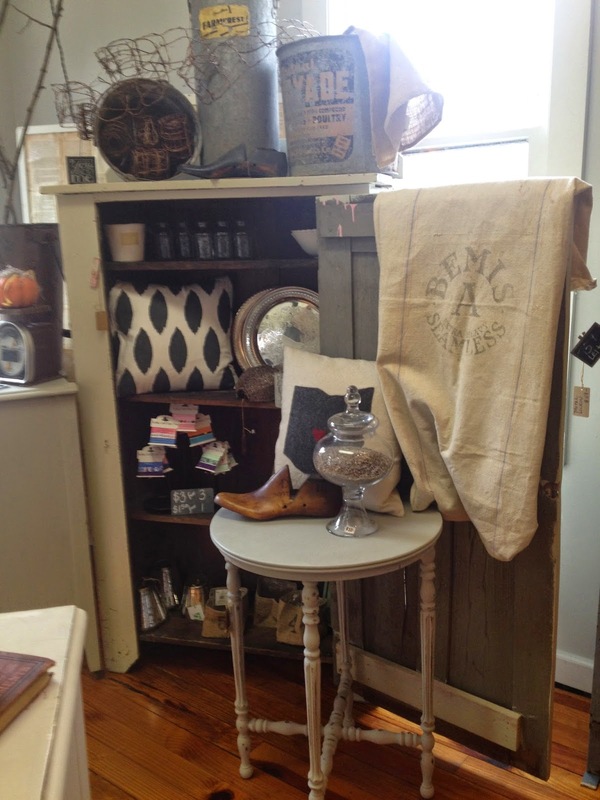 The locker holds all our handmade New Albany Eagles gifts and goodies. 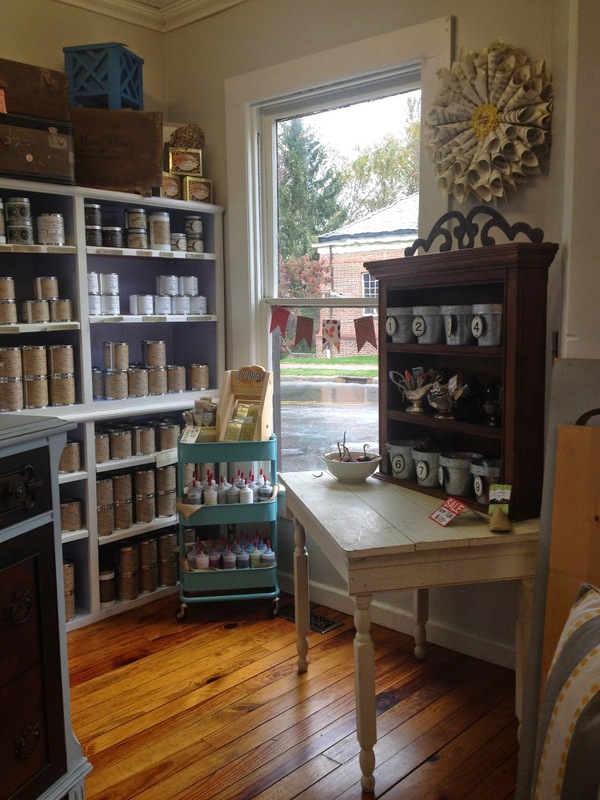 Maison Blanche is stocked and ready for your DIY projects. 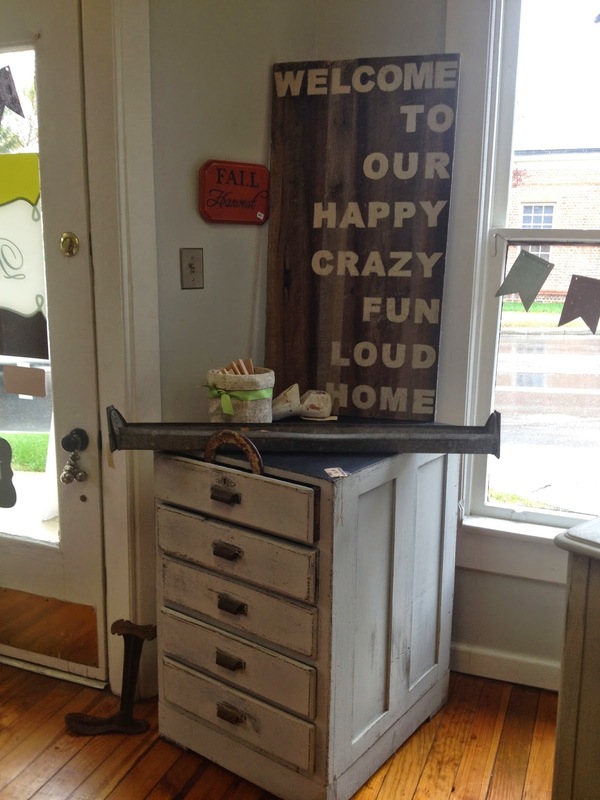 This is our last sign of this kind. 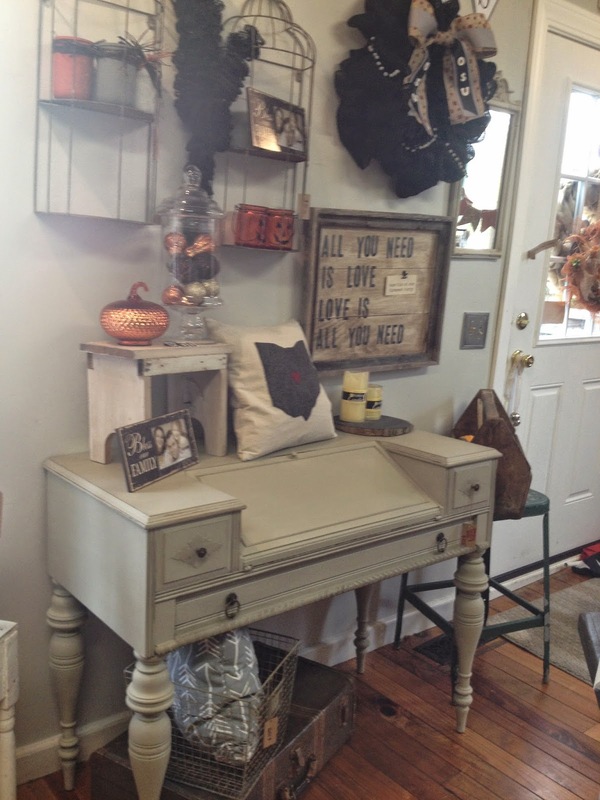 This handmade beauty has sold many times and this is the last one. 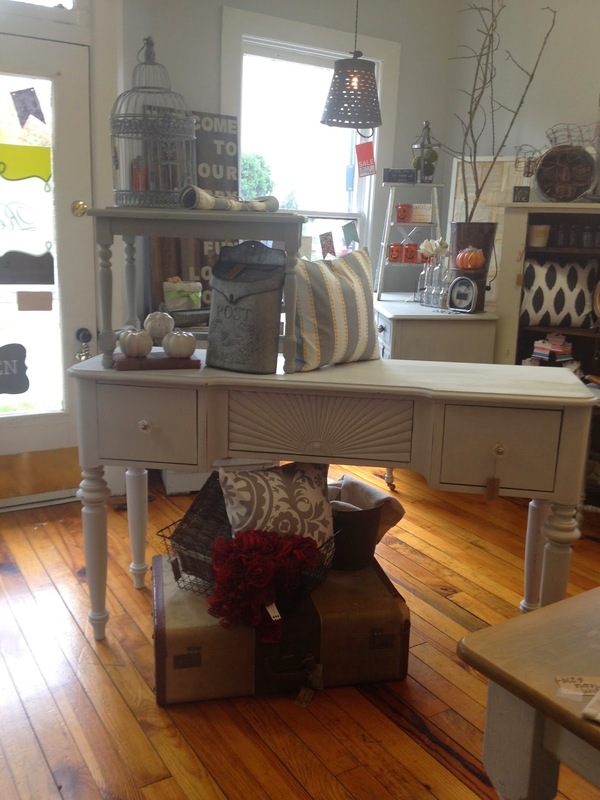 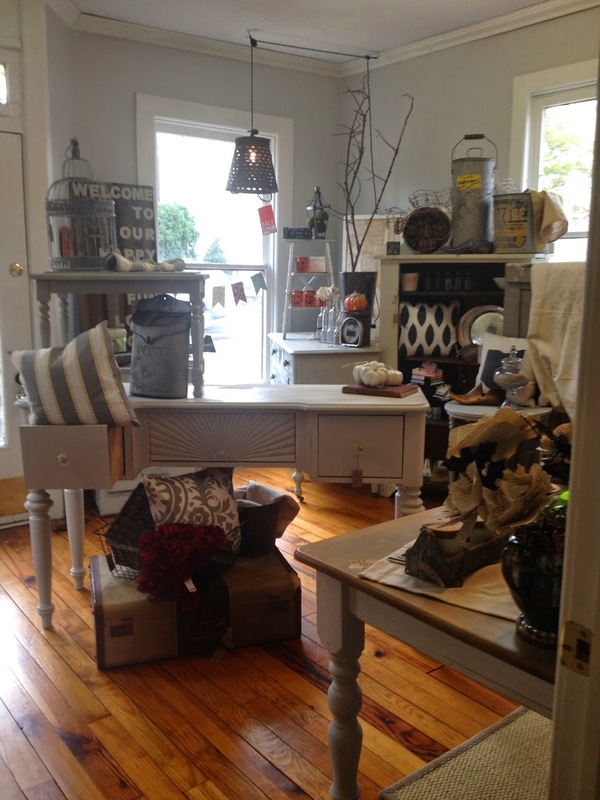 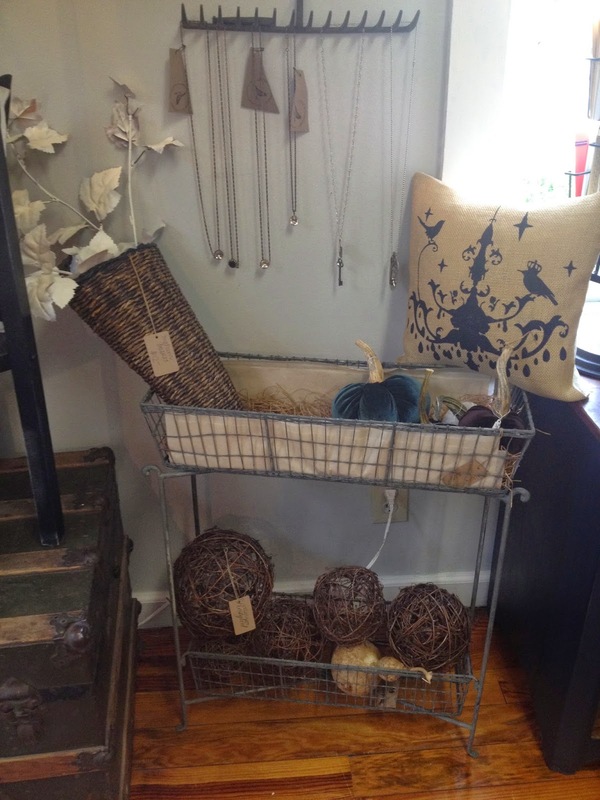 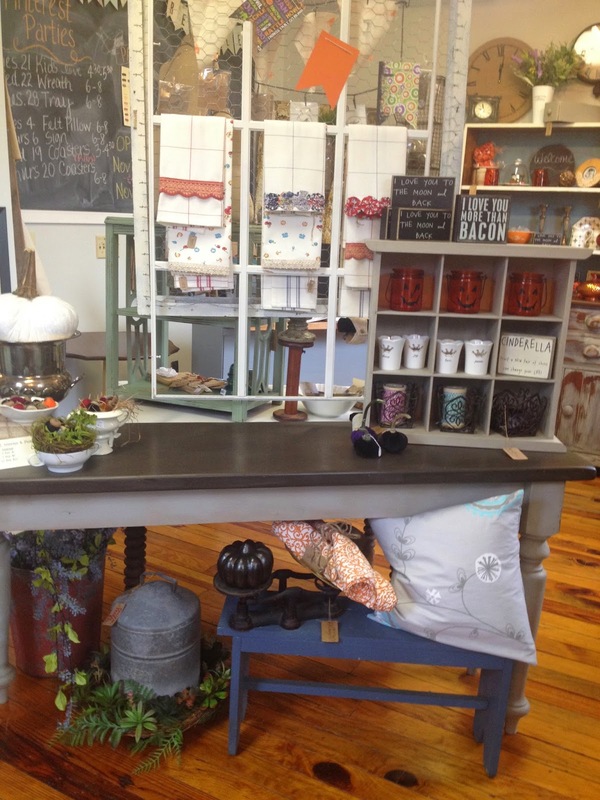 So much restyled furniture, home decor, jewelry and gifts.